This installment of the NBA finals is sure to go down in history as one of the most evenly matched finals in the history of professional basketball. 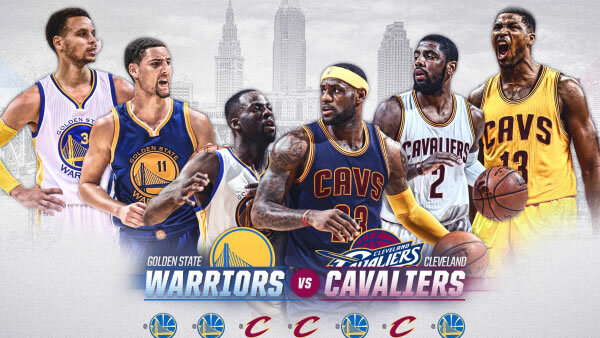 The Golden State Warriors will host the Cleveland Cavaliers in game 1 this Thursday night and again for game 2 on Sunday, June 3rd. As agents who work with the top pay per head company www.AcePerHead.com already know, the road to the finals has been a profitable one. Although some doubted that the odd expert makers at Ace Per Head could consistently put up lines designed to draw attention and maximize profits throughout the playoffs, it has now become clear that the haters were wrong once again. Let’s take a trip down memory lane to see how these two teams got to the final. The number 2 Golden State Warriors faced off the Houston Rockets in the conference finals, and at times it was uncertain if they would be able to beat them to advance to the final. The conference finals went to the wire, and the Warriors were able to defeat the number one seed in the Western Conference in game 7. Similarly, the Cavaliers battled the Boston Celtics in the Eastern Conference finals. Boston was the number 2 seed in the Eastern Conference while the Cavaliers were a distant 4th. And yet the prowess of LeBron James carried the team to the very end, winning the conference championship in game 7. So now, the question remains, which of these teams is the fittest and who will win this year’s NBA Championship. Overall Golden State is a heavy favorite to come out victorious from this matchup, and the betting odds for the game 1 reflect that. As good as LeBron is, his team has shown consistent evidence of weakness, and one must wonder how much further LeBron can carry his team. On the other hand, the Warriors have shown how resilient they can be, and having knocked the number one seed of the competition means they are flying high. Starting the series at home is also a plus, they are comfortable and surrounded by adoring fans. But, the series won’t remain in Northern California, the Warriors will have to travel east for games 3 and 4, and then the tables will be turned, we all know how strong the Cav’s fanbase can be, and LeBron feeds off that. So, what do the odds experts think about how this championship will end? The response I got was not the one I was expecting. The line managers informed me that personal favorites have little to do with running a successful pay per head, you can’t make decisions based solely on who you like and who you dislike, it all comes down to which line will prove most profitable to most agents. While I was impressed with their professionalism, I still pressed them for an answer, which they reluctantly did, but as usual, tried to leave their personal feelings out of it. Golden State will most likely win the Championship. They won’t win in straight games. The Warriors will try very hard to win at home in game 5. What do you think, do you agree with the experts at AcePerHead.com? Will the Golden State Warriors win the Championship, or will LeBron James and the rest of the Cavaliers manage to pull off the win? Share your thoughts with us in the comment section.